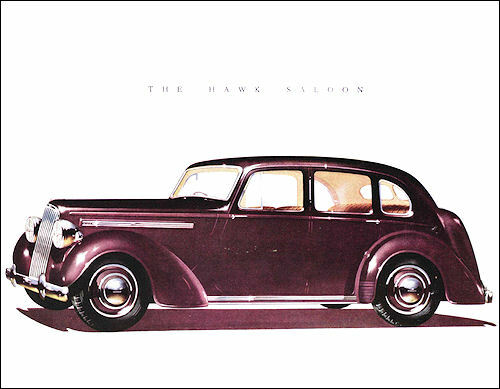 Humber post-war range comprise three five-seater saloons: the new 14 HP Hawk, the 18 HP Snipe and the 27 HP Super Snipe. 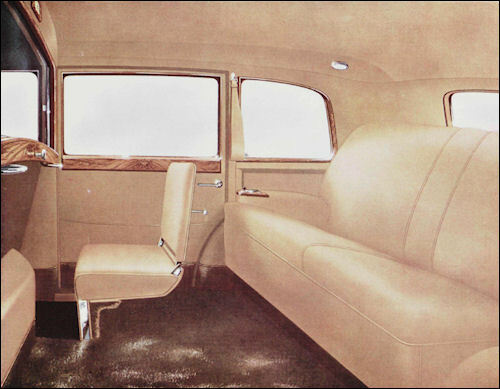 In addition there is the seven-passenger 27 HP Pullman Limousine. Super Snipe, fundamentally the same as in 1940. It have a 100-bhp 4-litre side-valve six-cylinder engine and is in production from August 1945. 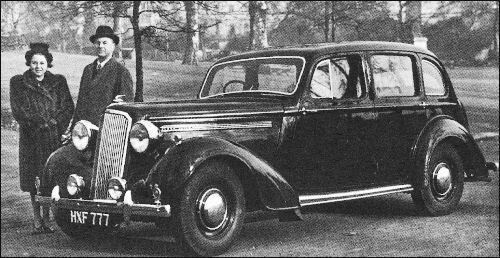 Humber Pullman is mechanically similar to the Super Snipe, but have 12-in v. 11-in Lockheed hydraulic brakes and 10 ft 7 ½ in v. 9 ft 6 in wheelbase. It could carry seven passengers and driver. The 4-litre side-valve Six engine develop 100 bhp at 3400 rpm. All Humbers have IFS with wishbones and transverse leaf spring. Here are cars . . . . . . alike in their appeal of appearance to Humbers you have known . . . . . . how vastly they differ when you take the road. Then only can you appreciate the benefits to motoring of wartime experience . . . . . . . gained from the service of our products in the desert, the mountains and roads of Africa, Asia, Europe . . . . . . . a lifetime of engineering knowledge. Simply to list the many improvements would not impress . . . . . . you will find them in the performance, the smoothness, the comfort,, the safety of these cars . . . . . . and in their endurance. Thee quality and craftsmanship of Humber carried now to an even higher degree. A 4-cylinder five-passenger Saloon powered by a high efficiency 4-cylinder engine (13.95 h.p. R.A.C. 56 h.p. 1944 c.c.) providing unique performance coupled with low running costs. 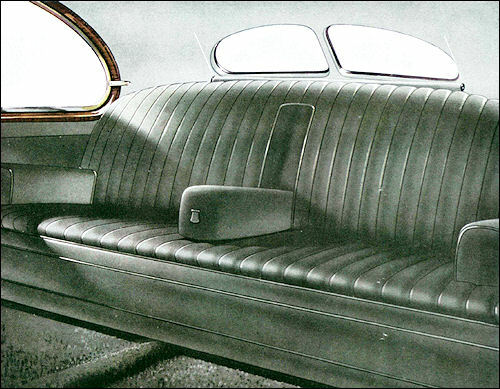 The many refinements of Humber coachwork,, plus the high quality of interior finish will be immediately apparent to the discrimmating buyer. A model of particular appeal to those seekng a full five-passenger Saloon of medium power. The new 6-cylinder 65 h.p. engine (17.97 R.A.C. 2731 c.c.) provides a smooth flow of power that makes ït a pleasure to drive and a leader in its class. 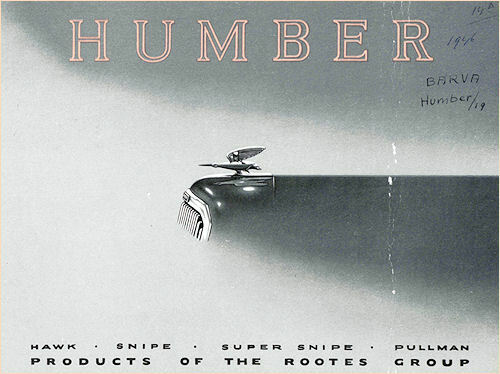 The interior appointments are of the quality always associated with the name HUMBER. A car internationally competitive in performance and comfort. The acceleration of the 6-cylinder 100 h.p. engine (26.88 R.A.C. 4086 c.c.) has been acclaimed by motoring correspondents as "sensational." With comfortable and safe cruisng speed of 70 m.p.h. for five passengers. 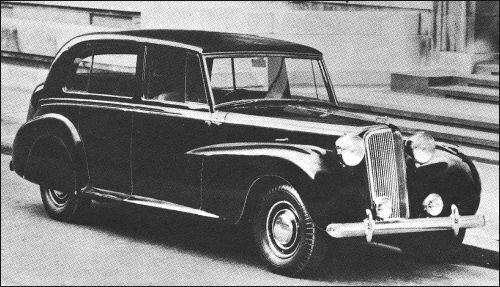 The appearance of the Super Snipe leaves no doubt as to the quality of coachwork and finish. A limousine for the formal occasion in town or for long distance touring. 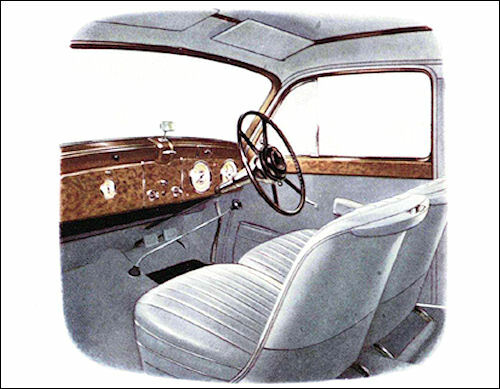 The interior upholstery and furnishings give the highest possible degree of comfort, for seven passengers and driver with outstanding riding qualities, due to the famous HUMBER Evenkeel Suspension. A powerful 100 h.p. Super Snipe engine provides fast luxury travel. Rear compartment is identical on Hawk, Snipe and Super Snipe. 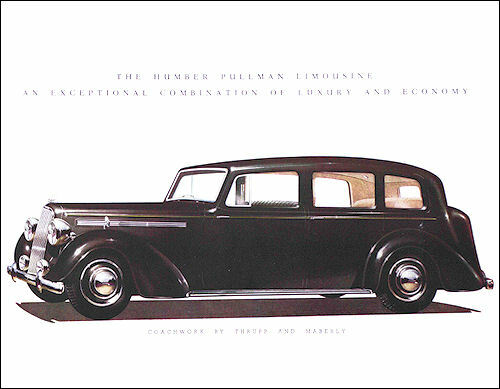 Humber Pullman with special luxurious Sedanca De Ville coachwork built to special order by H. J. Mulliner Et Co. Ltd, for Rootes Ltd. With the main exception of the radiator grille, all the bodywork is different from the regular Pullman Limousine. It is shown here with the front compartment roof section removed and installed. The Motor wrote 'The bodywork is a good example of compromise between British and American styling, the car having flowing lines without over-exaggeration'. The price of the car is £2300, plus PT (November 1946).